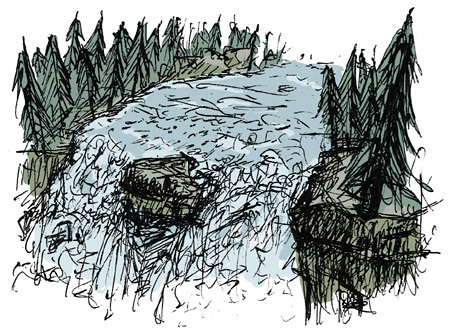 This entry was posted in Digital, Pen/Ink and tagged plant, waterfall by Nathan. Bookmark the permalink. What happens if I don’t give you money? Many unpleasant things involving tuna fish and a long, dark hallway brimming with old cracked photos of former communist pie shop owners and their pale, teary-eyed daughters. Um…Nathan, you are so wierd. Nathan, you’re starting to sound like a cross between Saki and Douglas Adams.